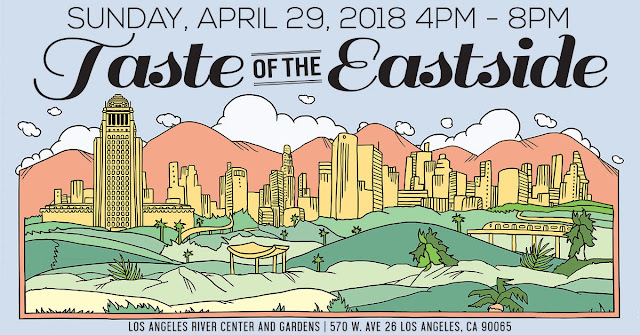 Gourmet Pigs: LA: Taste of the Eastside, April 29, 2018 + Giveaway! LA: Taste of the Eastside, April 29, 2018 + Giveaway! You know it's spring in LA when it's time for Taste of the Eastside! The food festival is coming back for another run on April 29, 2018 to the Los Angeles River and Gardens. The festival showcases restaurants in the Eastside neighborhoods including Eagle Rock, Silverlake, Highland Park, Los Feliz and beyond. 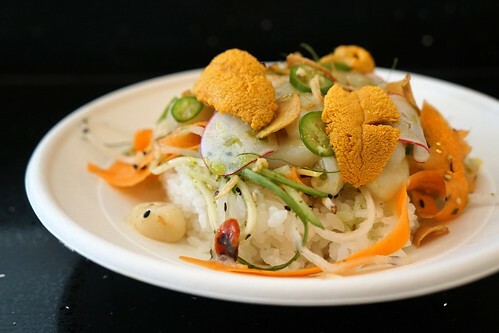 This year's participating restaurants include Melody, Oki Poki, Malo Restaurant, Daw Yee Myanmar Corner, Cliff's Edge, Momed, Cento Pasta Bar, and more. 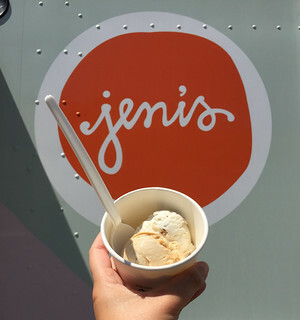 There will be ice creams from Jeni's Splendid Ice Cream, Pazzo Gelato, and McConnell's Fine Ice Creams. Drinks will be served by Frogtown Brewery, Green Bar Distillery, Silverlake Wine, Eagle Rock Brewery, and others. The festival will run from 4-8pm. General admission tickets are $45 ($55 day of event) and includes unlimited food samples. Drinks will be available for purchase. VIP tickets are $75 ($85 day of event) and also includes 3 drinks tickets, early entry at 3pm, VIP gift bag, and priority parking. Now, the best part. We are giving away 2 general admission tickets to the festival! Enter using the widget below and don't forget to head to Instagram for extra entries.